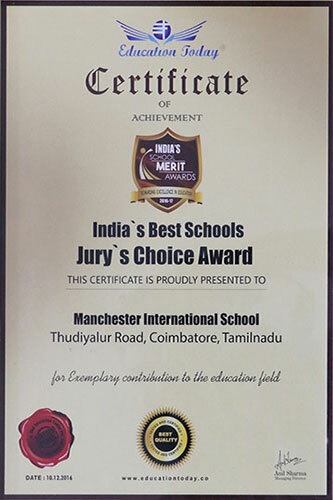 Manchester International School has been conferred with the highly prestigious British Council International School Award. 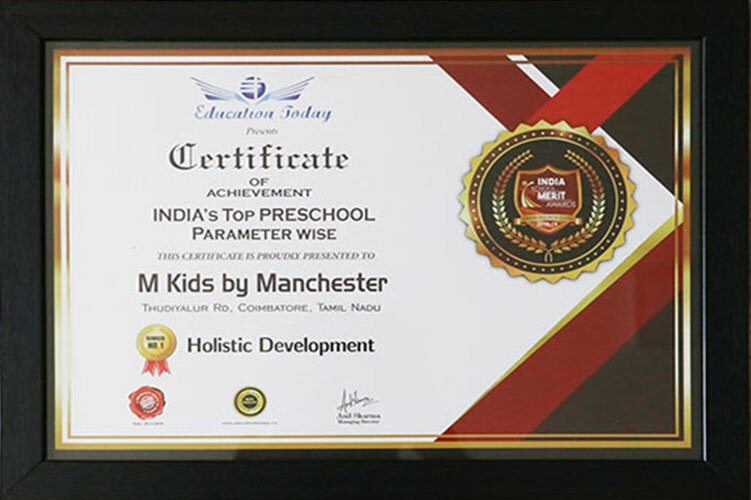 The award has been bestowed upon the school for effectively and efficiently implementing international ethos into its curriculum from Pre-KG to MYP. 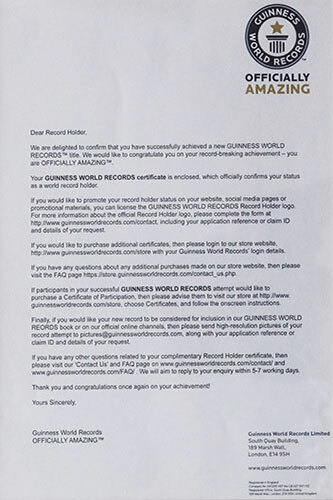 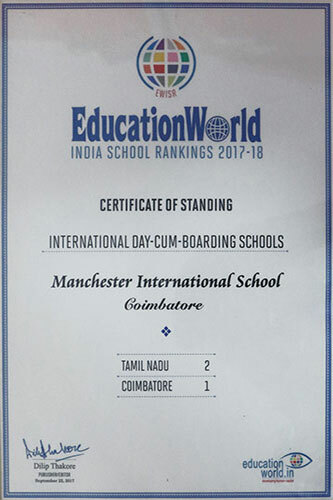 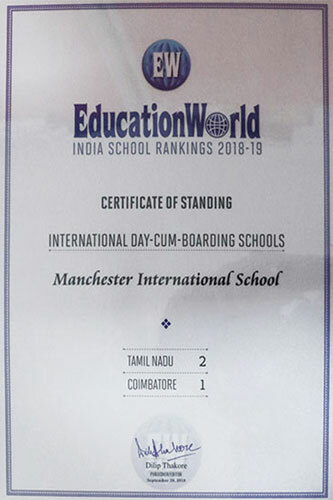 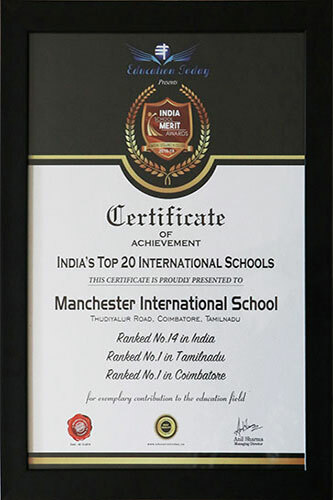 Manchester International School is ranked No. 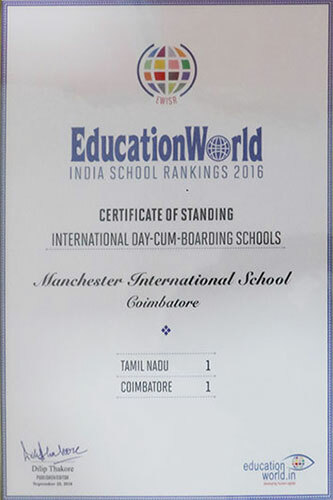 1 school in Tamil Nadu by Education World in their School Rankings 2016 and therefore aspire to provide the best of amenities. 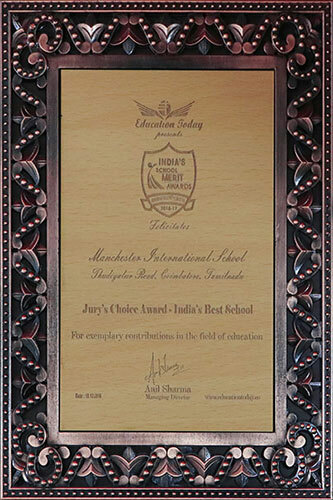 Manchester International School is awarded India’s best school (Jury`s Choice Award) by Education today in their School Rankings 2016 and therefore aspire to provide the best of amenities. 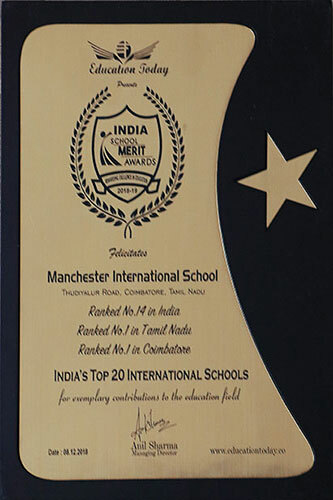 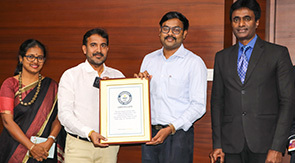 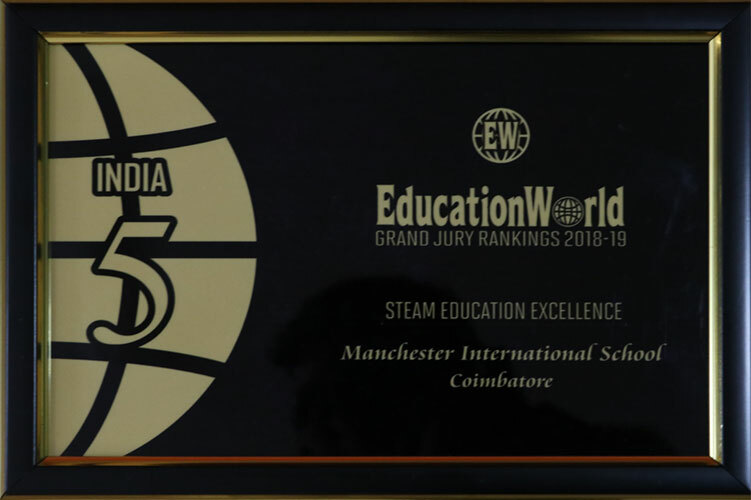 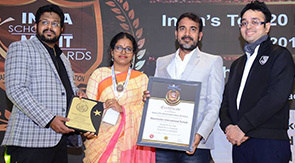 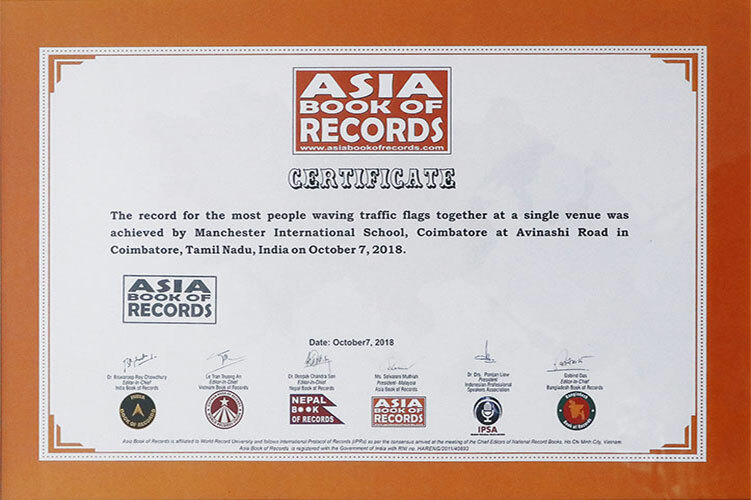 Manchester International School is awarded The best school in India by Digital learning in their School Rankings 2015 and therefore aspire to provide the best of digital amenities in the school. 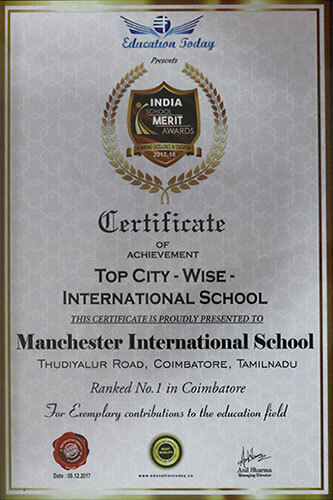 Manchester International School is awarded "Performance excellence award " by Siverzone Olympiads for overall performance in Siverzone Olympiads 2015-16. 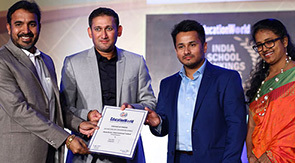 Manchester International School is awarded "The Winner School -Phegivef Paragon award" by Phegivef organisation's International level painting competition. 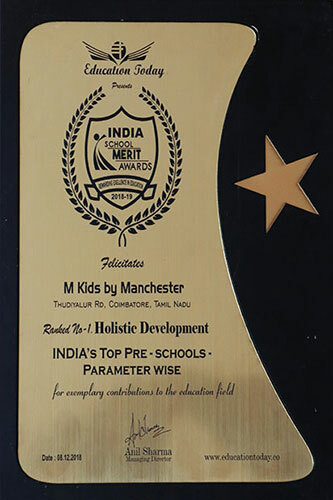 Manchester International School has secured "The championship cup 2016" in state level yoga competition 2016 conducted by BKS Iyengar memorial yoga trust. 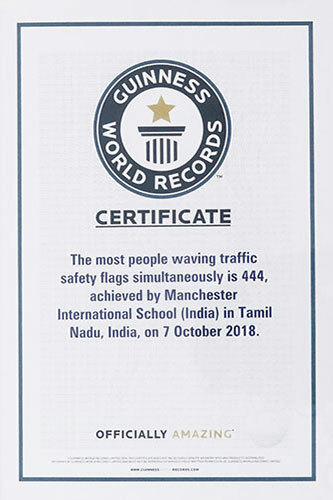 To add to this list are many more prestigious awards and honours received from rotary, lions clubs and other local organisations.